"We have to keep this fight going!" 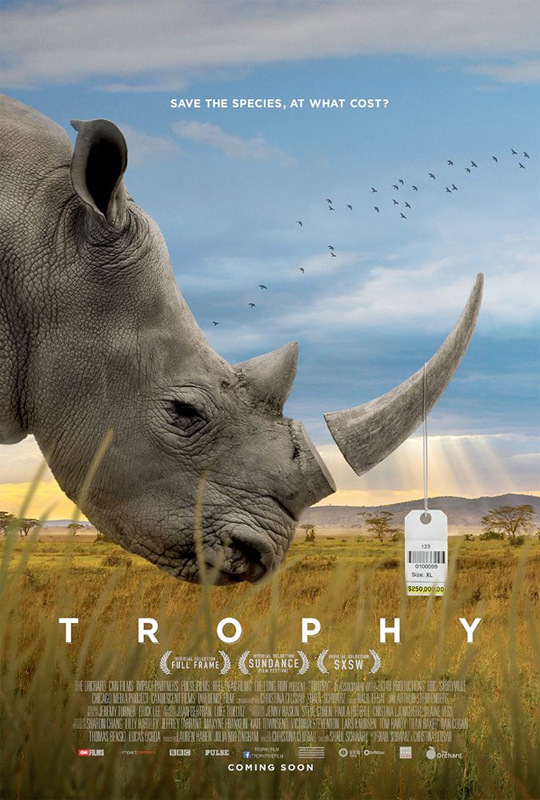 The Orchard has debuted an official trailer for a documentary called Trophy, examining the world of big game trophy hunters and how it connects to wildlife conservation. This premiered at the Sundance Film Festival in competition earlier this year, and has played at other fests all over the world. The description for this says it will make you question "what is right, what is wrong and what is necessary in order to save the great species of the world from extinction." This seems like it would make a great double feature with the other wildlife doc The Ivory Game (about elephant poaching) from last year. I will admit I'm curious about seeing this, and I'm a bit sad I missed it at Sundance. Take a look below. Christina Clusiau and Shaul Schwarz's documentary Trophy is a startling exploration of the evolving relationship between big-game hunting and wildlife conservation that will leave you debating what is right, what is wrong and what is necessary in order to save the great species of the world from extinction. Trophy is directed by filmmakers Christina Clusiau (making her directorial debut) & Shaul Schwarz (of Aida's Secrets, Narco Cultura previously). This first premiered at the Sundance Film Festival earlier this year, and also played at SXSW, Full Frame, Sun Valley, Montclair, and the Melbourne Film Festival. The Orchard will release Trophy in select theaters starting September 8th in the fall. Who's interested in this?